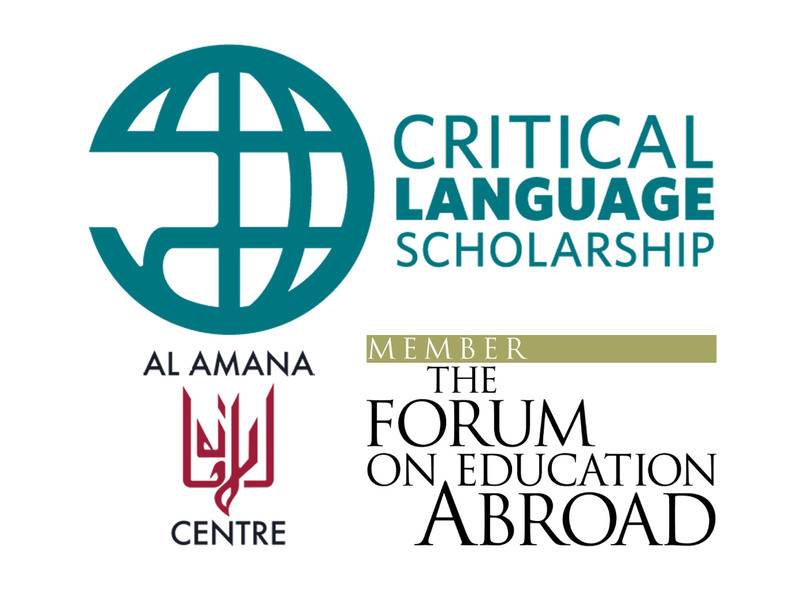 Sultan holds a master’s in Arabic and German as a Foreign Language from the University of Leipzig; this has given him a solid theoretical basis in contemporary didactics of foreign languages and initially exposed him to international language teaching. 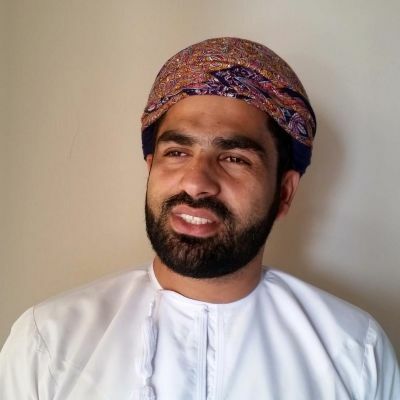 Sultan has extensive managerial experience in Arabic language development; he has held directorial positions at internationally recognized institutes such as the World Learning Oman Center in Muscat; where he developed and implemented Arabic language programs. 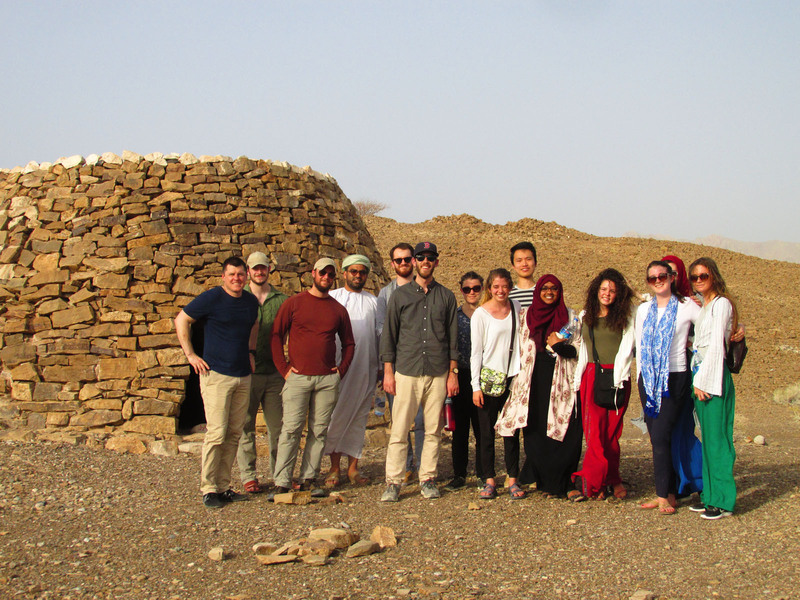 He was responsible for the SIT Study Abroad program, the Critical Language Scholarship Arabic Program in Oman (CLS) and the Diwan-funded Salaam program to name a few; as well as developing many customized courses for various other organizations. Omar is responsible for Noor Majan’s logistics and is the primary bus driver for the institute. 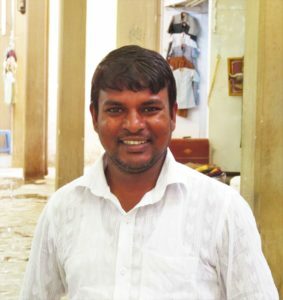 He often serves as a liaison for Noor Majan between government offices and other private institutions. 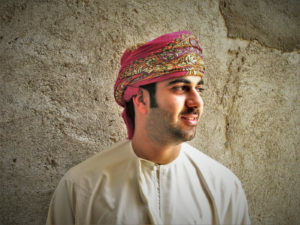 He loves to strike up conversations with students and is a good guide to Ibri and Oman in general. 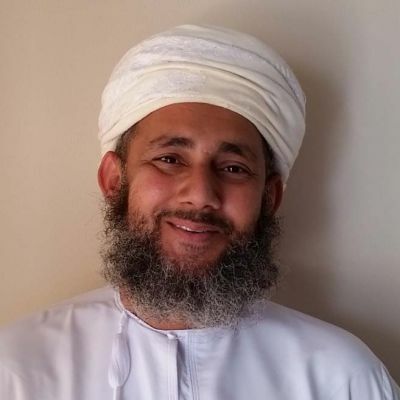 Hussein is Noor Majan Training Institute’s Director of Arabic Programs; he holds a master’s degree in Teaching Arabic from the University of Nizwa and is currently pursuing his Ph.D. on the implementation and usage of classical Arabic poetry in the AFL classroom. 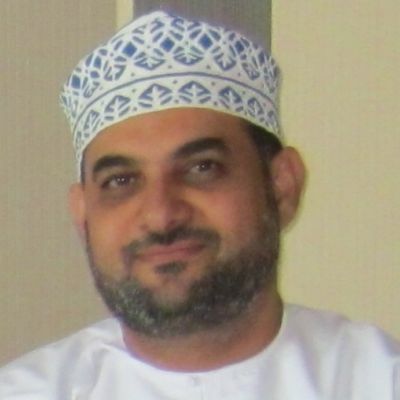 He has been with the Omani Ministry of Education for over ten years, first as an Arabic teacher and then as an inspector of all Arabic teachers in the district; he is now a consultant for the Government on their Arabic faculties. He has taught Arabic courses to the highest International levels and worked with programs such as Critical Language Scholarship “CLS,” USA and Salam program in Muscat, Nizwa, and Salalah. 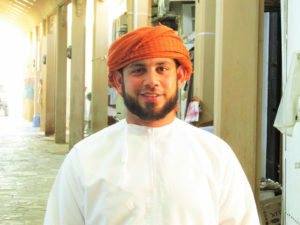 His experiences in teaching Arabic to both International and Omani students and expertise in Arabic grammar, rhetoric and classic poetry inspired him to bring the idea of high-quality Arabic teaching to his home region of Ibri. 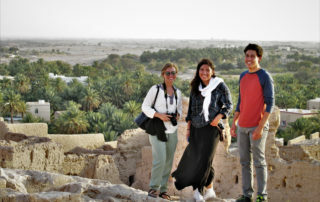 Here he felt he could combine his teaching methodology and philosophy with an authentic Arabic environment conducive to Arabic practice on a daily basis. Saif is one of our most dedicated and talented teachers. 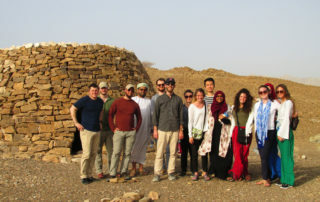 With a Ph.D. in the techniques of teaching the Arabic language, he uses a modern teaching approach and authentic source materials to help students attain their highest Arabic level. His classes are challenging while supportive and let you develop all language skills. 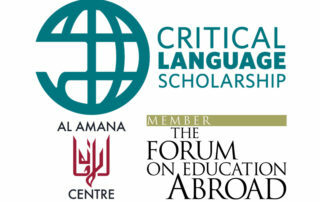 Saif is also always ready to discuss any topic that ignites your interest – in Arabic of course! Ibtisam made her passion for the Arabic language her vocation and started teaching at Noor Majan in 2013. She is known for her innovation in developing unique curricula and has a good sense of humor. 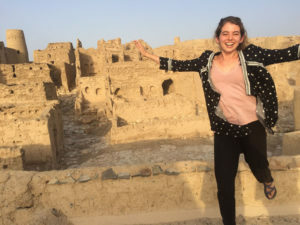 She is currently completing her master’s in Arabic as a Foreign Language at the University of Nizwa. 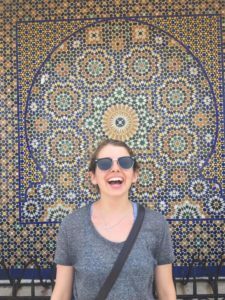 After graduating as an Arabic teacher with honors, Latifa was looking for an unusual challenge and decided to join Noor Majan. She has been teaching at Noor Majan for 3+ years. 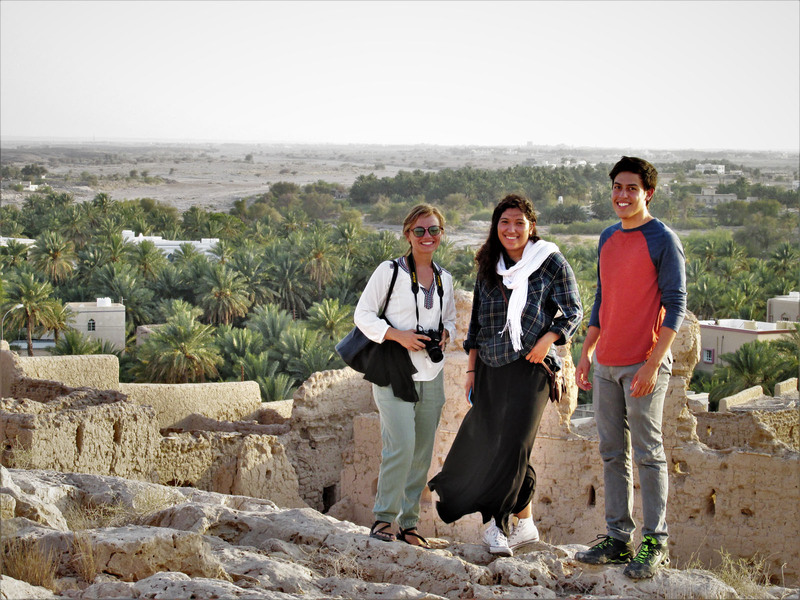 She is currently completing her master’s in Arabic as a Foreign Language at the University of Nizwa. 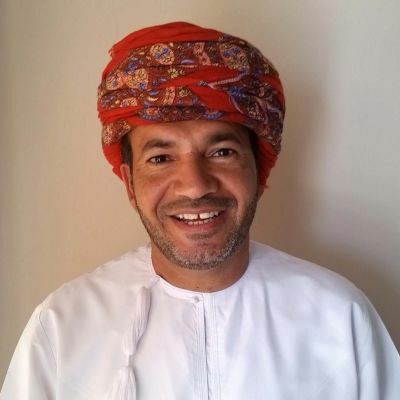 Youssef has 30+ years experience in foreign language teaching, he holds a master’s degree in TESOL and served as a consultant with Omani Ministry of Education, designing and implementing foreign language courses. After hosting Noor Majan students. he decided to use his skills in Arabic as a Foreign Language and began teaching at the institute. Mohammed holds a Bachelor’s in Human Resources Management and served as a language partner with Noor Majan. He is the go-to person for all of the institute’s activities and ensures the smooth running of all of the institutes English and Arabic courses. 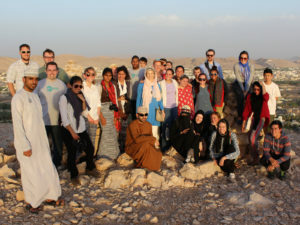 He often joins students on excursions and serves as an invaluable resource on Omani culture and Ibri. Mohammed Taher is Noor Majan’s facilities manager and is an individual with a great passion for helping others. Hes assists Mohamed Al Shueili and Omar Ali in ensuring the smooth flow of day-to-day operations and oversees all of the grounds at the institute and at the student accommodations. 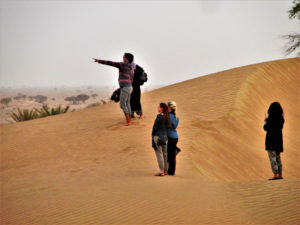 Due to its proximity to the world’s largest sand desert, appropriately named the “Empty Quarter,” Ibri has a desert climate with low humidity. During the winter months from November through March, Ibri enjoys relatively cool weather with temperatures ranging between 18 and 30 degree Celsius (low 60s to mid-80s, Fahrenheit), which at times can even drop to a relatively ‘chilly’ 10 degrees. There might be some rainfall in February and March, however, during the season when the dates are harvested, from May to September, temperatures can reach 30 to 50 degrees with very little rainfall, thus almost everywhere you go you will find air conditioning. 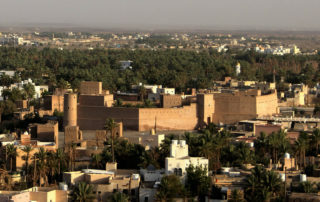 Ibri boasts many historical sites, most prominent among them is the 400-year old Ibri fort and its famous gates are known as “Sabahat,” located right beside the well-preserved old suq of Ibri. 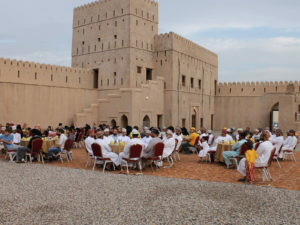 Inside the fort, there is an old mosque which is still in use today. Amongst the most prominent archaeological sites in and near Ibri is the UNESCO World Heritage site of Bat with its pre historic beehive tombs. 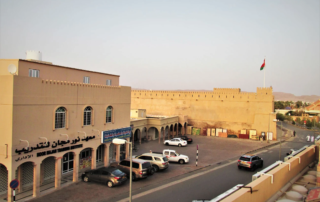 Ibri’s souq is one of the largest and most prominent souqs both for the Dhahira region and historically for Oman; it once served as an important hub for the trading caravans of the past. 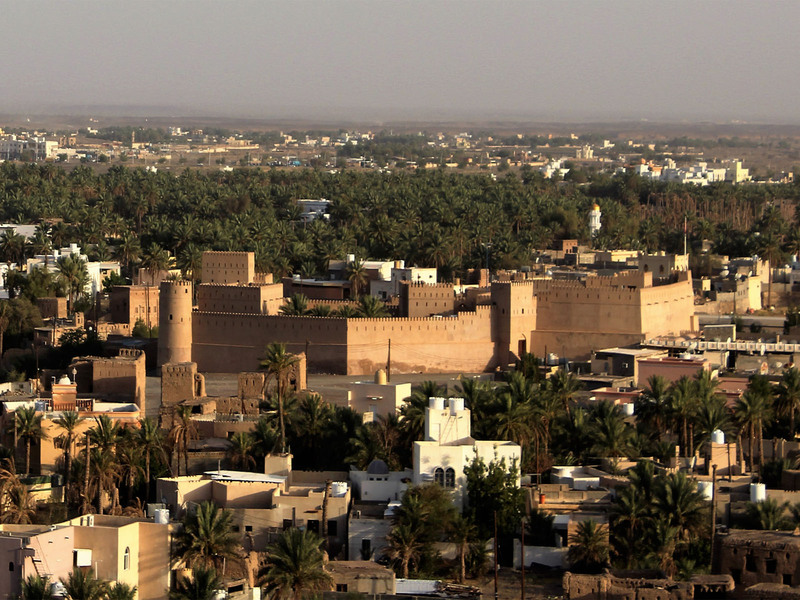 Today it is still lively and animated throughout the week with local produce, ready-made goods and livestock being bought and sold daily; while also surrounded by some beautiful, traditional Arabic-Islamic architecture. Please note that Oman is a conservative society where the consumption of alcohol, smoking in public, dating, immodest dress and behavior, and excessive contact between the genders are not socially acceptable. Thus, we recommend and advise that students respect Oman’s cultural norms to have a successful study at Noor Majan. Note 2: Tuition fees start at 150 OMR/week (approx. 390 $), accompanying services such as accommodation and excursions need to be booked as a package.